My name is Jay Heck and I am the executive director of Common Cause in Wisconsin, the state’s largest, non-partisan, non-profit reform advocacy organization in the state with approximately 3,000 members and another 2,000 non-member network allies. We commend you for holding this hearing today on December 2007 Special Session Senate Bill 1 and on Senate Bill 12 – the sweeping, comprehensive campaign finance reform measure better known as the Ellis-Erpenbach bill, now in its fifth incarnation and which Common Cause in Wisconsin first supported back in 1999 when we first began working first with Senator Ellis and later with Senator Erpenbach to shape this legislation. Because Senate Bill 12 is largely contained in December 2007 Special Session Senate Bill 1, together with full public funding for State Supreme Court candidates who agree to limit campaign spending to $400,000 (Senate Bill 171) as well as adjustments to disclosure requirements for widely disseminated campaign communications masquerading as issue advocacy, to reflect the U.S Supreme Court decision of last June affecting the federal McCain-Feingold law (Senate Bill 77), I will limit my testimony today to speaking in favor of December 2007 Special Session Senate Bill 1. We again commend Governor Jim Doyle for calling the Special Session last November 30th and look forward to working with this committee and with the State Senate and Assembly to pass this much needed landmark legislation and having it enacted into law—the first substantive reform to Wisconsin’s campaign finance reform in three decades. There are countless reasons why you need to pass this legislation. But with apologies to Late Night host David Letterman, here are Common Cause in Wisconsin’s Top Ten Reasons for Passing December 2007 Special Session Senate Bill 1, although not necessarily in order of importance – because all of them are important. #10 - This landmark legislation: increases the current and inadequate $1 check off for public financing on the state income tax form to $5 with a partisan option to make checking off the money more attractive. (It would not increase tax liability or decrease the refund by $5) and it creates an additional source of public funding for candidates through the creation of a Public Integrity Endowment (PIE) to be set up and administered through the Government Accountability Board. Individuals, unions, corporations, foundations and anyone else interested in cleaning up state government could contribute to the PIE and be eligible for a 100 percent tax credit. (There is currently no additional source of public funding--only the $1 checks off). #9 - Provides candidates with full funding for public grants equal to 35% of revised spending limits if they agree to abide by the revised spending limits ($4 Million – Governor; $700,000 – Attorney General; $150,000 – State Senate; $75,000 – State Assembly) and provides complying candidates with additional public funding equal to the amount over the spending limit that their non-complying opponent spends--up to three times the spending limit. (There is currently no such provision in place). #8 - Provides candidates who are the targets of outside spending by independent expenditure groups or those who run so-called "issue ads" (that depict a candidate 60 days or less before the general election or 30 days or less before the primary) with public funding matches – of to three times the spending limit. (There is currently no such provision in place). #7 - Requires the disclosure by sham issue ad groups of how much they are spending and who the donors to the organization are. (Currently no disclosure whatsoever is required of these groups). #6 - Prohibits campaign fund-raising by legislators and statewide elected officials from the time after the election when the governor or governor-elect is preparing the biennial state budget to be introduced until it is enacted into law. (Currently fund raising is rampant during the budget period). This prohibition would apply to declared candidates for legislative and statewide office as well. #5 - Abolishes legislative campaign committees -- which legislative leaders have utilized to decrease the independence of legislators and which have created, at the very least, the appearance of corruption through the solicitation for campaign contributions in return for the consideration of pending legislation. (Currently, LCCs collect hundreds of thousands of dollars of special interest money). #4 - Would re-establish the Wisconsin Supreme Court as the citadel of integrity and impartial justice that it once was by imposing realistic voluntary spending limits on campaigns in return for 100 percent publicly-financed grants freeing justices from damaging conflicts of interest with campaign contributors or outside special interest groups who currently seek to influence the outcome of current supreme court elections. #3 - Complies with the recent U.S. Supreme Court decision involving Wisconsin Right to Life’s challenge to the federal McCain-Feingold law by requiring that communications that are clearly identifiable as attempting to influence the outcome of an election be required to disclose the names of the donors paying for those communications but not require that the funds utilized to pay for the so-called issue ads come from regulated or restricted sources as earlier versions of this legislation and the McCain-Feingold law required prior to the U.S. Supreme Court decision last June. This provision is now in line with regulations issued by the Federal Elections Commission this past December on this matter and we are fully confident that it would withstand any legal scrutiny and court challenge. #2 - This measure would restore Wisconsin to its rightful place as a national leader in clean, honest and accountable state government in the nation, restore citizen confidence – now at an historic all-time low – in our state elections and in our compromised and corrupted public policy-making process, and finally, help erase the stain of shame and infamy that has cast a dark shadow over Wisconsin since the eruption of our worst political scandal since the 1800’s – the Legislative Caucus Scandal back in 2001. #1 - Finally, enactment into law of this sweeping reform measure would catapult Wisconsin way ahead of Minnesota, which currently has a campaign finance system in place that is light years ahead of, and better than ours in terms of having issue – driven elections with spending limits and which enjoys very high confidence among its citizens and prevents campaign finance corruption. If Wisconsin can’t do better than Minnesota, then we really need serious therapy because none of us can bear to continue to live with that shame! Common Cause in Wisconsin played a leading role in a statewide effort to secure passage and enactment into law of the "Impartial Justice" measure, legislation that will provide 100 percent public financing to candidates for the Wisconsin Supreme Court who qualify for the public funding and who agree to abide by spending limits of $100,000 in the primary election and $300,000 in the general election. Complying candidates will also be eligible to receive additional matching funds if their opponent decides not to abide by the limits and accept the public financing and if outside groups run independent expenditures against them. The grants will be funded by a new $3 check-off on the state income tax form -- of which $2 will be for state supreme court elections. If this vehicle does not generate sufficient revenue to fully fund candidate and matching grants, sum sufficient funding from the general treasury will be appropriated to fully fund all grants. Wisconsin now joins New Mexico and North Carolina as the only states in the nation to provide full public financing in state supreme court elections. Both chambers of the Wisconsin Legislature passed the Impartial Justice legislation on November 5. 2009. Governor Jim Doyle signed it into law on December 1, 2009. CC/WI's leadership role in this reform effort was the subject of this editorial: Reformers win a fight to clean up court races. In June, 2009, Common Cause/Wisconsin single-handedly uncovered and then forced to be removed from the biennial state budget bill, an amendment proposed by the State Senate Majority Leader that would have required the Wisconsin Government Accountability Board (G.A.B.) to get legislative approval for any funding to investigate possible corruption and/or other wrongdoing in state government. Enactment of the amendment would have completely undermined the independence and ability of the G.A.B. to be able to investigate corruption -- free from interference from, or control by the Legislature. This was a key component in the establishment of the independent, effective G.A.B. in 2007 (after a four year effort led by CC/Wisconsin) following the biggest political scandal in Wisconsin's history in 2002. CC/Wisconsin was widely hailed in the media for uncovering and stopping this assault on good government, including in this editorial: Jay Heck's victory for good government. With State Senator Michael Ellis, Common Cause in Wisconsin devised the legislation and led the successful four-year fight to enact into law the most sweeping political reform in Wisconsin in thirty years – the establishment of a new state Government Accountability Board (GAB) to replace the ineffective State Elections and Ethics Boards, which had ceased being effective enforcers of state campaign finance and ethics laws. The new law, which passed the Legislature and was signed into law on February 2, 2007, creates a much strong single board with enhanced power to investigate and prosecute corruption and wrongdoing in state government. The new GAB also is funded independently from the Legislature and the members of the GAB--retired appellate judges--must be non-partisan and are not selected by political party or legislative leaders as were members of the former State Elections Board. First proposed and led the effort to eliminate the four partisan legislative caucus staffs – about sixty legislative employees who had been increasingly utilized over the years by the majority and minority leaders in both legislative chambers to do political and campaign work on state time with state resources. CC/WI first proposed their elimination in 1997 and then was the only reform organization that actively worked for their elimination—which occurred in the Assembly in October, 2001 and which was completed in the State Senate in January, 2003.The savings to Wisconsin taxpayers has been about $4 million annually. After suing the state legislative leadership in 2001, CC/WI won a settlement brokered by the state Attorney General that stipulated that any legislator or legislative staff member convicted of a felony or misdemeanor crime for misconduct in office or on the job, must reimburse taxpayers for any and all legal fees paid for by the state while they were under investigation. Three convicted ex-legislators with taxpayer-paid legal fees totaling more than $200,000 have already, or will have to reimburse the state treasury. Common Cause in Wisconsin led the effort in the media to uncover wrongdoing and felony misconduct in the State Capitol on the part of legislative leaders and staff in 2001-2002 culminating in the criminal charging of the Democratic Senate Chair of the Joint Finance Committee, the Democratic State Senate Majority Leader, the Republican Speaker of the Assembly and the Republican Assembly Majority and Assistant Majority Leaders in 2002 – for felony misconduct and other crimes in office. CC/WI was the leading media “go to” organization throughout what was known as the Legislative Caucus Scandal – the most serious political scandal in the history of Wisconsin State Government. In October of 2001, CC/WI uncovered and led the storm of protest against a secret deal concocted by the legislative leadership with the State Elections and Ethics Boards to try to cover up the investigation of wrongdoing in the Summer of 2001. Led the statewide legislative effort to pass and enact into law a measure requiring that every voting machine in Wisconsin provide a verified paper ballot in order to ensure that every vote is counted accurately and to avoid the controversy that has occurred in other states over verifying certain votes cast. The measure was passed in the Legislature in late 2005 and signed into law in early 2006. Led the 1998 bipartisan effort to pass and enact into law a measure requiring that lobbyists report on-line, activity on legislation within 14 days of the lobbying activity. Previously, lobbyists had up to six months to report lobbying activity. This lobbying on-line reporting legislation made Wisconsin the state with the earliest reporting requirement in terms of making known to the public lobbying activity of any state in the nation. 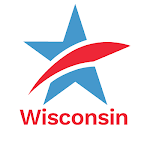 Devised with State Senator Michael Ellis, the comprehensive campaign finance reform legislation that has gained the widest bipartisan support as well as that of all the leading Wisconsin newspaper editorial writers, every year since it was first introduced in 1999. Legislators and Wisconsin newspapers consider Common Cause in Wisconsin to be the most respected and effective reform advocacy organization in the state.